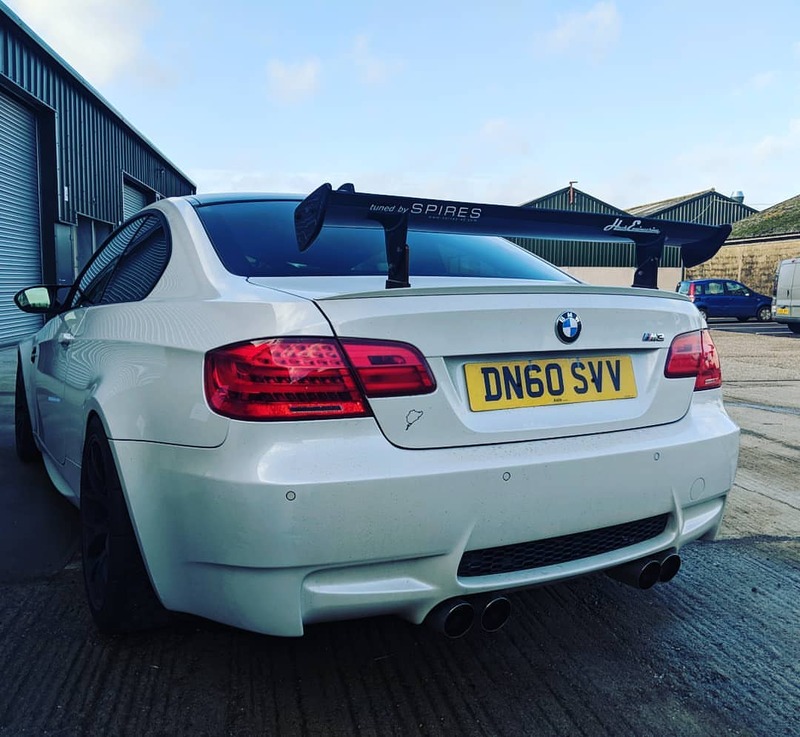 Alex is no stranger to track M3s, having previously owned a supercharged E46 M3. 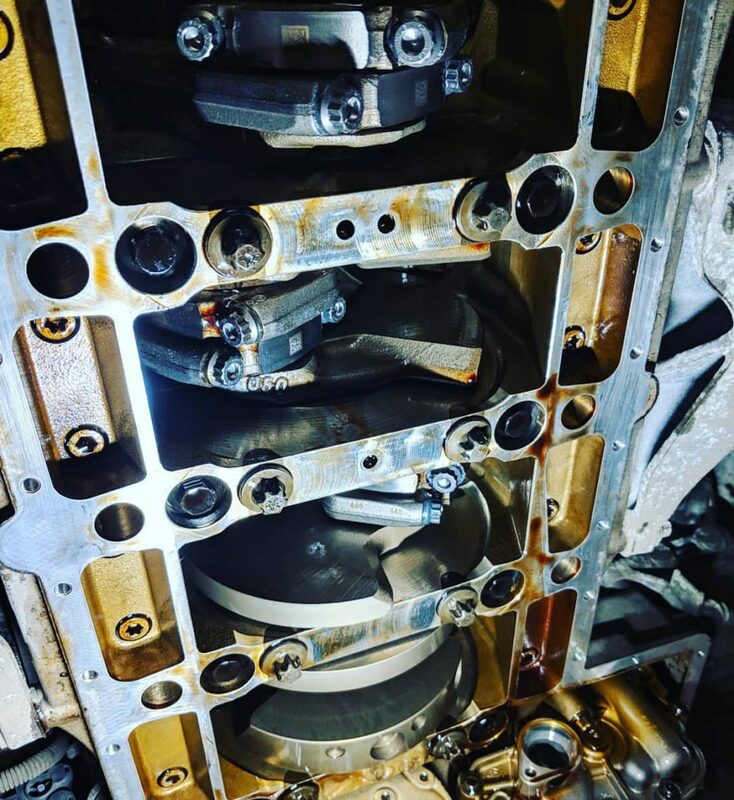 He’s had this E92 M3 since earlier this year and wanted to bring it into us for the essential rod bearing replacement, as well as a little more work besides. 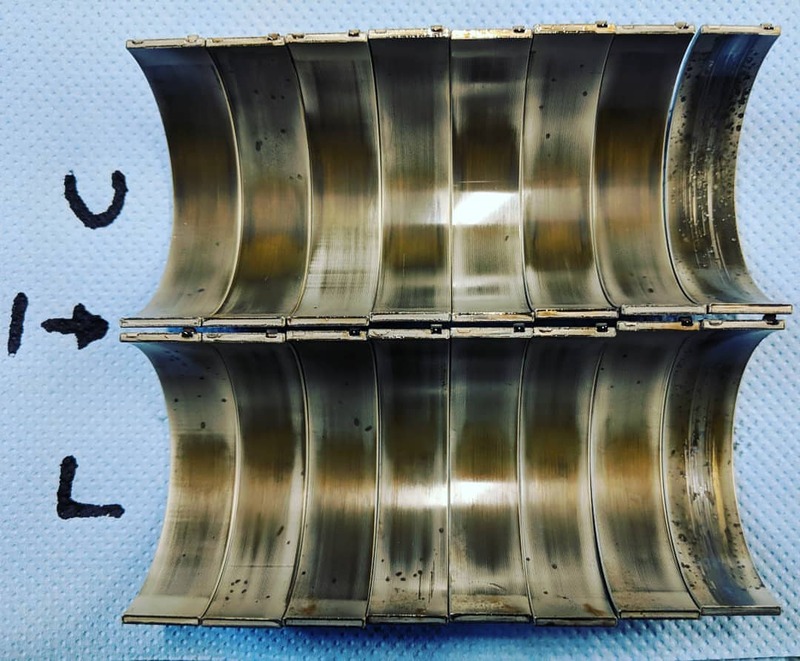 Despite over 93,000 miles, most of the bearings were in surprisingly good shape. That is, except number 8 which was showing very good reason for concern. 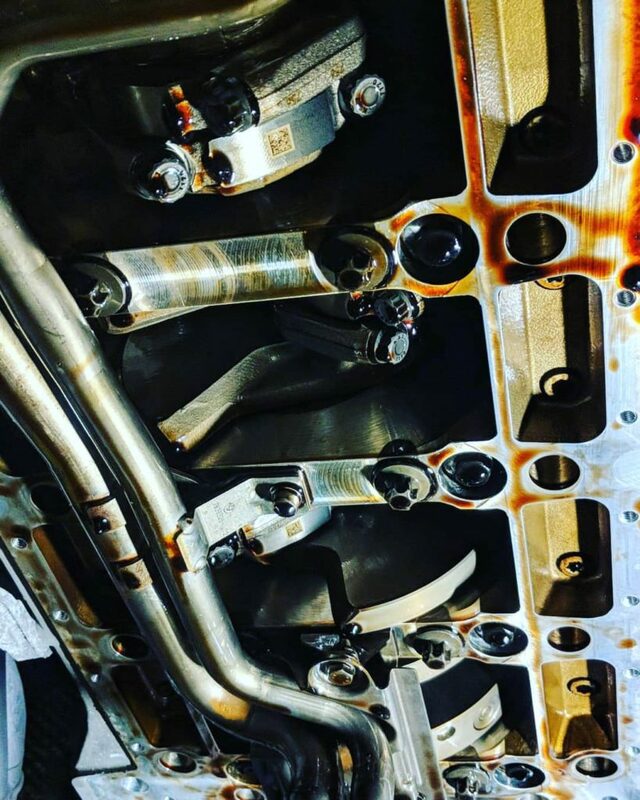 To replace them, upgrades were called for in the name of ACL bearings and ARP rod bolts. 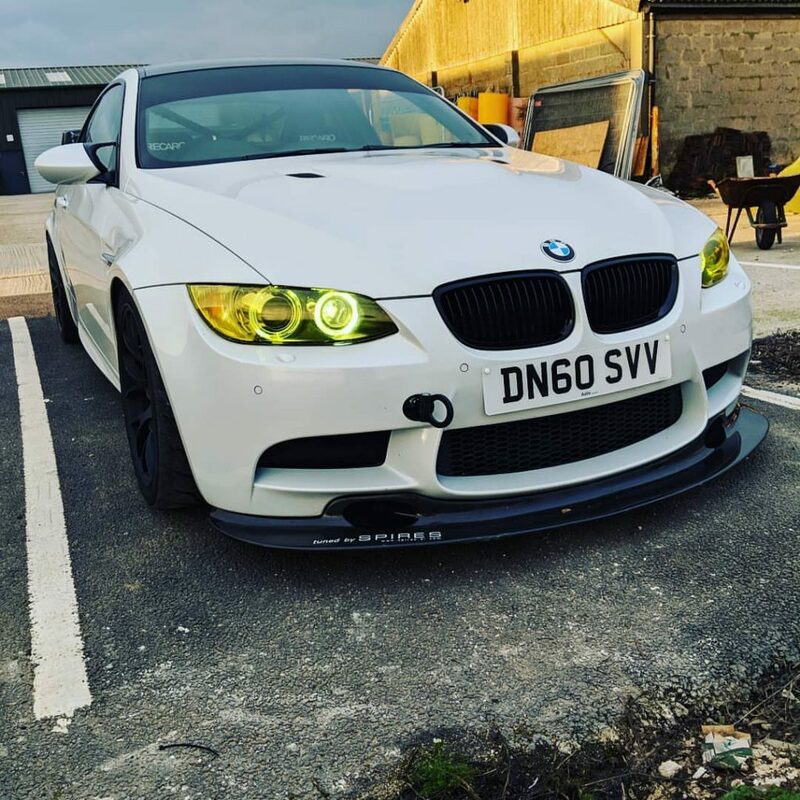 Once re-assembled, the E92 was treated to a fill of Millers CFS 10w60 Nanodrive, perfect for a hard-used M3. A genuine BMW sump gasket and oil filter were also fitted during the process. 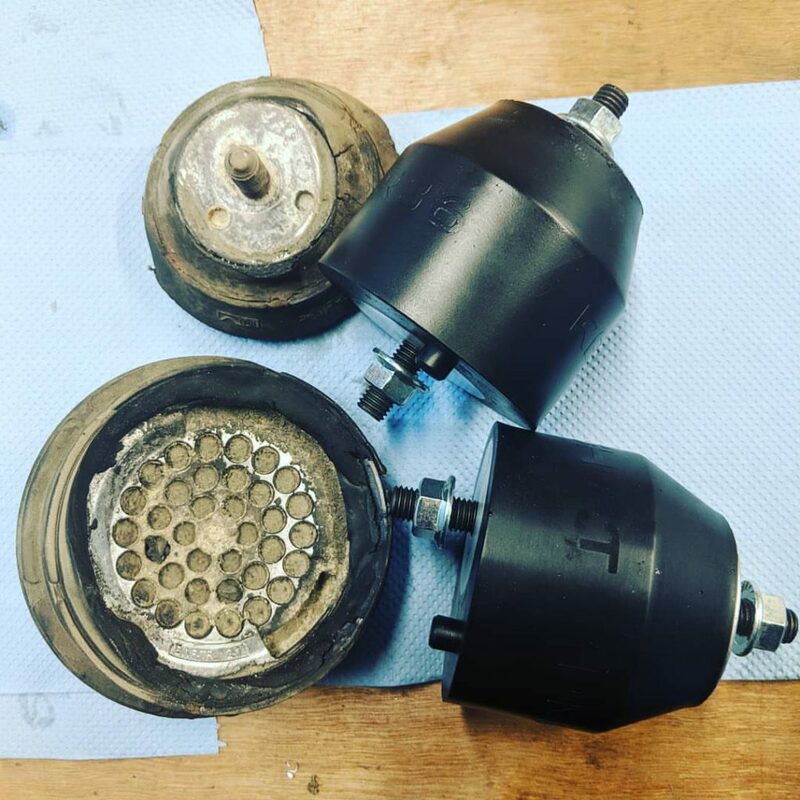 During disassembly, we also discovered that one of the original engine mounts had torn completely in half, and so Alex wisely chose to upgrade to Revshift polyurethane mounts, in 80A stiffness. 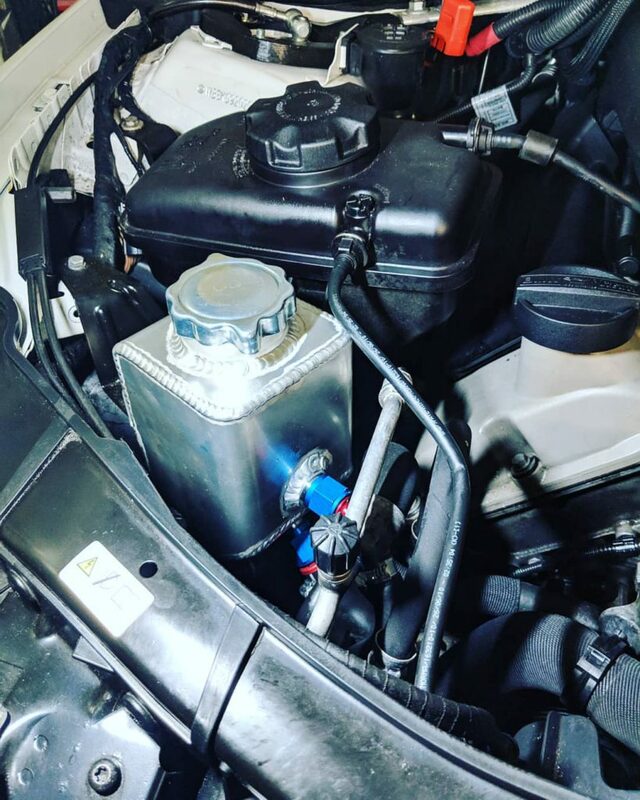 Another upgrade Alex asked us to supply and fit was a Bimmerworld power steering reservoir. The capacity of the original doesn’t allow for expansion which leads to it sweating fluid, causing a mess from the vent. This upgrade is a must for all track-driven E92 M3s. A few final jobs included free-ing of the front brake components in preparation for Alex to give the car new discs and pads. We’re looking forward to having this car back next year for further upgrades.